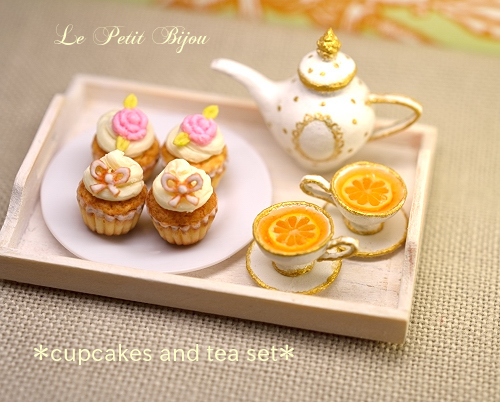 It's been a long time since I made miniature food. 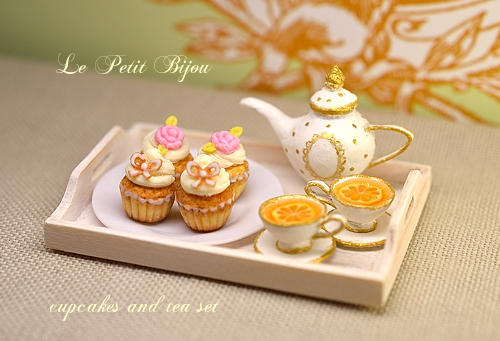 This is cupcakes and tea set. Although I usually make miniature dolls in 1/48 scale , this is in 1/12 scale. I tried to make tea out of resin for the first time! I've always wanted to try to use resin but it seems to be difficult. Also it's the first time to make a lemon and cut it in round slices . this miniature work, unexpectedly it was fun! I had a good time.